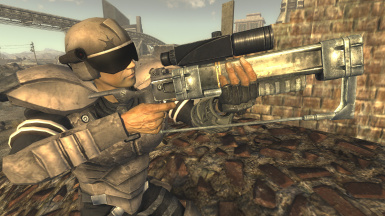 This mod adds a new laser-based sniper weapon to the game. 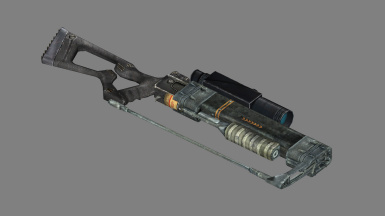 When I first saw the "Institute Rifle" in Fallout Shelter, this is more in line with what I imagined it looked like in 3D - not a fat, bulky square-profiled thing as it appears in Fallout 4. 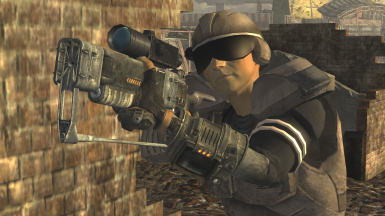 Now, I understand that they made it that way so it could re-use the Laser Rifle's animations, but I always felt it should've been sleeker. 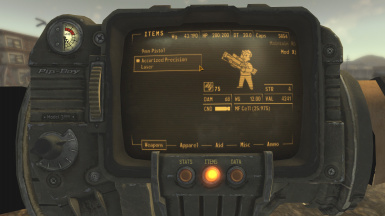 So, with that in mind, I decided to try my hand at realizing the design using New Vegas assets. I started with the base game Sniper Rifle mesh and fattened up the pistol grip, before isolating it and the stock and removing everything else. 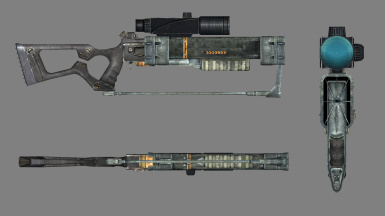 I then took the Laser Rifle and modified it extensively, mirroring parts all over the place to try and make it as symmetrical as possible before thinning it out, while keeping the emitter end round. 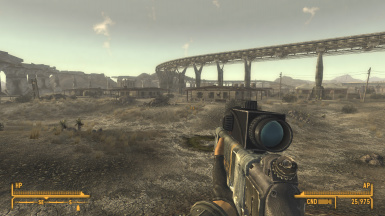 I placed the Gauss Rifle scope on top and then rigged the entire weapon to use the Assault Carbine's handing, firing and reloading animations. NOTE: I don't play energy weapons builds, so your input is valuable. Please let me know if you think the weapon is over-powered, and if you have any suggestions for tweaks. Also, if anyone knows how to implement charging attacks in the GECK (i.e. the longer you hold down the trigger, the more damage it does) please let me know.